Lauren received her Master’s degree in Marriage and Family Therapy from Fairfield University in Connecticut. She focuses on clients’ strengths by working collaboratively with individuals, couples, and families from a variety of backgrounds. 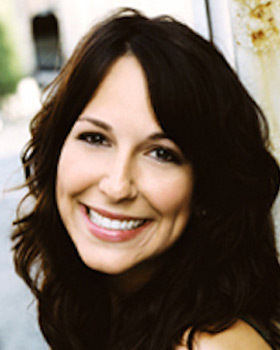 Lauren’s expertise is in treating relationship issues, specializing in couples therapy and family conflict resolution. Utilizing her training in family-systems, she addresses the dynamics between people that keep them from feeling emotionally and physically connected, as well as their individual concerns. She assists clients in achieving deeper emotional intimacy by interrupting disruptive patterns of behavior and beliefs that affect their personal growth and relationship development. Lauren is enthusiastic, compassionate, empathetic and committed to creating a safe and supportive therapeutic environment. Her clinical experience includes youth-based community service organizations and outpatient counseling centers. When working with children and adolescents, Lauren enjoys incorporating creativity as part of her therapeutic style by leveraging play, art, and drama therapies. Lauren is a licensed marriage and family therapist and is also pursuing additional training and certification in Emotionally Focused Couples Therapy. She is a member of the American Association for Marriage and Family Therapy and the Michigan Association for Marriage and Family Therapy.